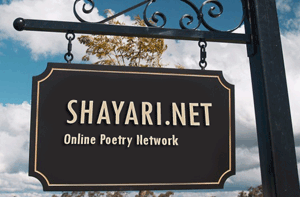 Shayari.net is the online source of poetry, written on subjects like relations, emotions, love and society by various great poets of shayari network. Since the start of Shayari Network we focused on delivering rich and evergreen poems that make readers feel so close to their heart and like their own real life story. Author those who writes these Shayaris are the reader their selves, as we provides the platform for directly submitting poems, then our qualified team reviews the poem deeply and unbiased. Rich and really touching Shayaris gets a place on main page of Shayari Network. Based in India, Shayari Network has an international poetry reader base, attracted by big Shayari database with rich content, user-friendly design, status for superiority and worth of contribution. Shayari Network is constantly adding new and unique poems which make users to visit back over and over again.